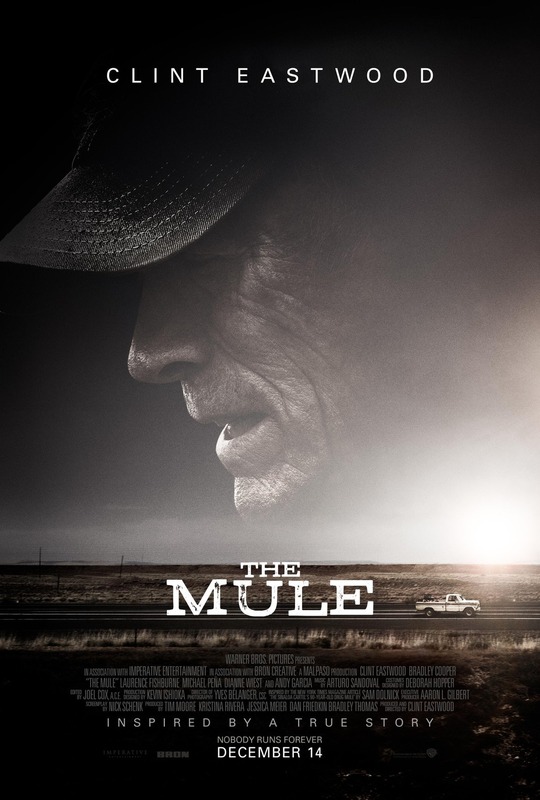 Clint Eastwood seems made for the role of Earl Stone in "The Mule." Based on a true story, Eastwood's character starts the story as a successful horticulturist, specializing in lilies. Flash forward a few years, and the Internet has changed the world and put him out of business. By chance, he gets an offer to work as a cartel drug "mule," driving sacks of drugs from Texas to Illinois. His 90 years give him cover, because nobody pays attention to old people in America. Speaking of old, Eastwood growls racist insults and complains about the modern age. He sings songs on the road and entertains hookers at motels. He's not politically correct, and I imagine that's the ways his fans want it. A great cast includes Bradley Cooper as the DEA agent trying to catch him, Alison Eastwood (his real daughter) as his angry daughter (hmm,) Dianne Wiest as his very unhappy ex-wife, and Andy Garcia as the cartel head who takes an interest in the old man. The movie rolls out economically. It's Eastwood, straight with no chaser. 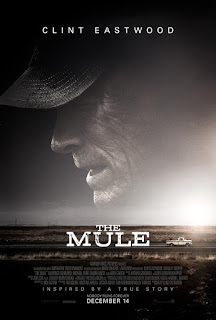 "The Mule," rated "R," 2½ stars. Does it deliver what it promises? Eastwood in an Eastwood movie. Is it entertaining? Easy to watch. Is it worth the price of admission? Not Oscar material, but very watchable.